Apply new developed ESD coating technique to pens and stationery. 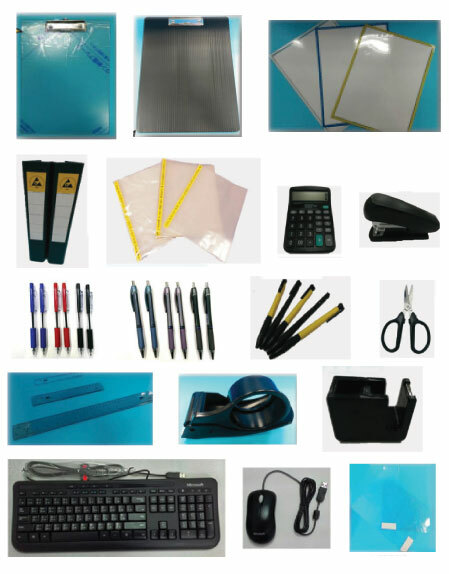 Antistatic surface resistivity: 10e7~9 ohm for most coated stationery. Dissipative surface resistivity: 10e10~11ohm for meganetic writing whiteboard. ESD life span: around 1 year, decay fading gradually after 1 year. Coating service is provided to customer's objects. Coating fee will be advised. Some materials or colors may not be suitable for coating.